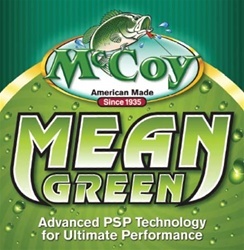 Unlike traditional monofilament, McCoy Premium Co-Polymer Fishing Line is formulated using a proprietary blend of nylon resins and infused with our Penesil Saturation Process (PSP). This advanced technology delivers longer, smoother casts, superior abrasion resistance and eliminates water absorption for longer life and durability. 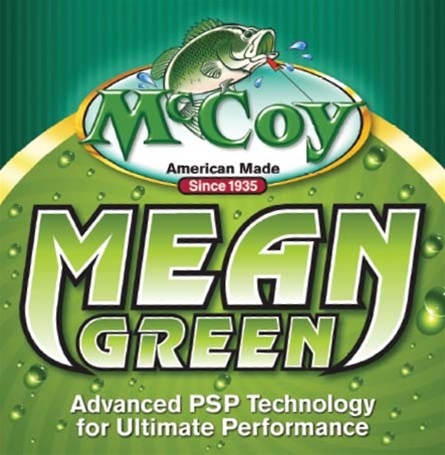 The Mean Green color blends perfectly in heavy weed cover or green tinted waters...it’s virtually invisible!